The biggest public library in UK and the largest collection of books in the world. The British Library is located next-door to our hotel and it is a home to number of books and manuscripts displayed to the public for free. Be sure not to miss Magna Carta but also Captain Cook's journal. 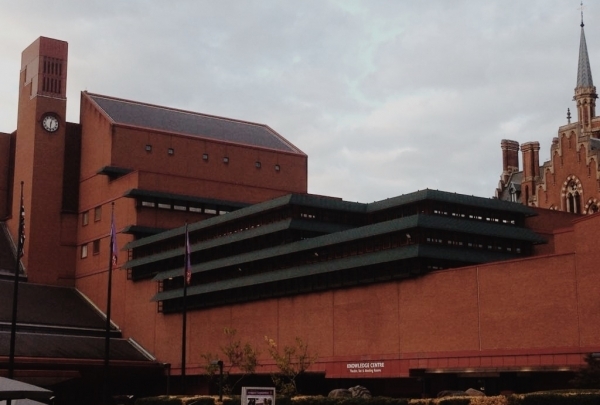 Every music fan can visit The British Library Sound Archive and listen to old recordings. My personal favourite is the statue of Isaac Newton in the main piazza, sculptured by Eduardo Paolozzi. Northern Indian flavours set in an old Bombay railway café with a modern twist. If you fancy a travel in time and space into an old Bombay during the 1920s, this branch of Dishoom is exactly for you. Food is both original and comforting. The most sought-after black dhal is legendary and butter nans are dangerously addictive. Dinner time you can book a table of 6 and more and sip on a Bombay Martini while waiting for your group to arrive. Three-storey modern pub and cocktail bar with fantastic views overlooking Regent Canal and Granary Square. The Lighterman is owned by the same people behind Alfred Tennyson, one of my favourite drinking spots in London. The location is stunning and you have to sit on a terrace or right next to one of its massive windows. The cocktail menu is extensive and reasonably priced. I love their fish and chips with home made tartar sauce .Go there for breakfast or brunch and cure your head with bloody Mary. Collect books, prop replicas, clothing, movies and more from all of the Harry Potter film series. 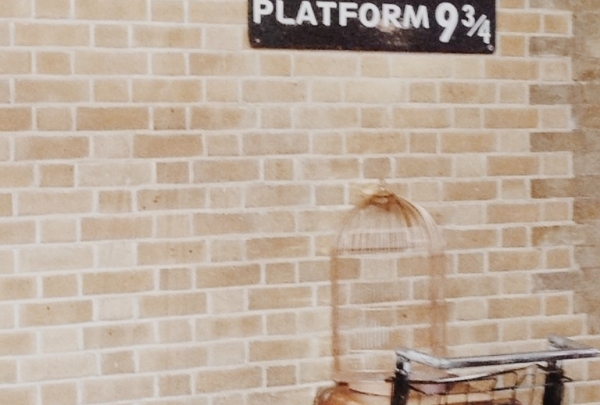 Every die-har fan of Harry Potter books has to visit this iconic location. There is something great in seeing people in their 30s pushing a shopping cart and trying to disappear into a station wall. You are sure to be simply amazed to find a whole world of magic inside. Some of the items are exclusively made and you are guaranteed to leave with a smile on your face. 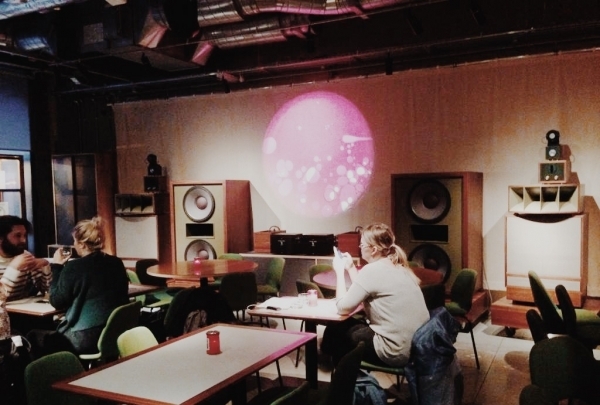 Record store, listening lounge and café-bar built around a stunning sound system. It is simply impossible not to admire this stunning creation, a perfect marriage of music and cocktails. Especially if you are an audiophile like me, this might be your favorite bar in London from now on. Although the analog sound system is definitely the star of the show, they serve excellent food and deserts all day. Come over in the evening and you might see someone famous behind the decks. Fashion outlet of concept lifestyle brand 18montrose located in Grain Store building. You cannot imagine a better location for this shopping experience located in one of the spacious arches of the restored Grain store building. 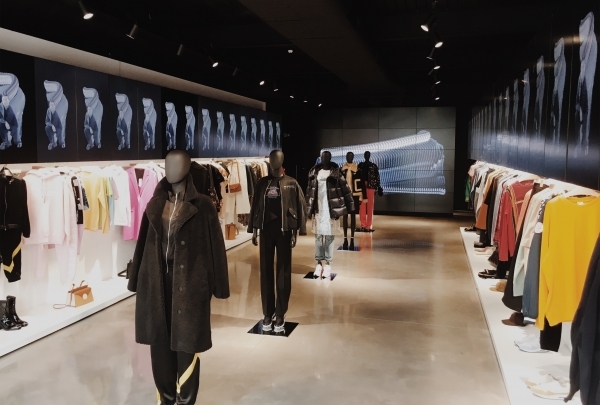 The way that the items are displayed reminds one more of a modern art gallery with clean square shapes and massive mirrors that multiply reflection. It's a great place to just pop in and have a chat and get the latest updates about sport fashion. Defiantly one of the most impressive venues in town, it was originally a gym built in 1864 for the German Gymnastics Society. 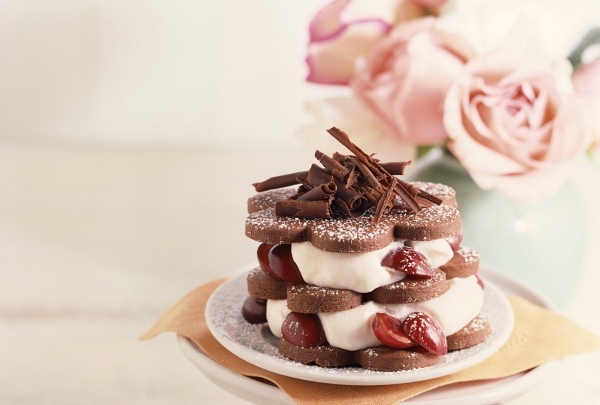 You can expect a Modern European cooking with a pleasant German and Austrian twist. Weather you are trying to amaze your spouse or business partner, you will not be disappointed. I was particular stunned by the hand rolled dumplings which reminded me of my childhood. Museum, library and art gallery where science, medicine and art meet under one roof. 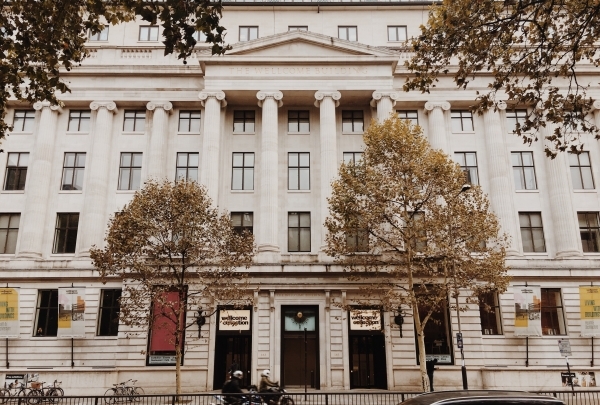 The Wellcome Collection was built around an eclectic collection of art and artefacts that once belonged to Henry Wellcome and skillfully links medicine with art. You don’t have to be a scientist to enjoy its exhibitions and numerous events. But if you do get overwhelmed there's always a cafe attached to its library and restaurant on the second floor. 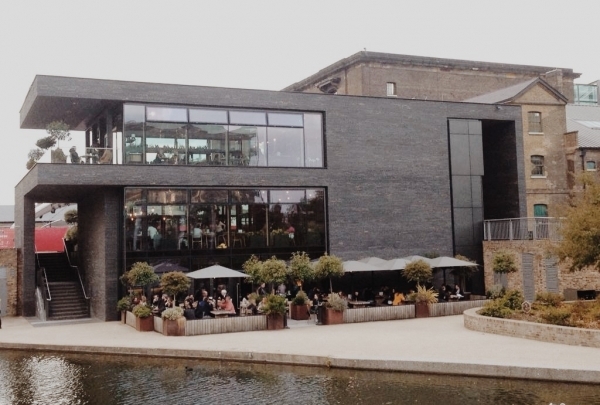 You might think that you have just walked inside of The Ivy's, and you are probably right, however the Granary Square Brasserie retains its unique charm dictated by the location. The food is simple but masterfully prepared. I love the Art Deco decor and the monkfish and prawn curry was and absolute winner. Great place for people watching so grab a delicious desert and seat outside. You will love the casual atmosphere, friendly staff and comfortable leather sofas. I usually go to The Fellow with some friends to enjoy one of their sharing platters and a good pint of craft bear to start with. The roof terrace is a must in summer, and if you fancy a bit of live action it is worth venturing upstairs to The Black Door! Think DJs and live music. Definitely one of the coolest markets in London and surprisingly it dates back to late 1700s. The Grade II listed buildings has been designed by George Sherrin between 1885 and 1893 and restored recently to their former glory. It is a great destination if you are into fashion, arts and crafts but I tend to travel there to enjoy the best falafel and jollof rice you can get in London. Arts and Crafts, Food and Second Hand Market with Bohemian heritage. 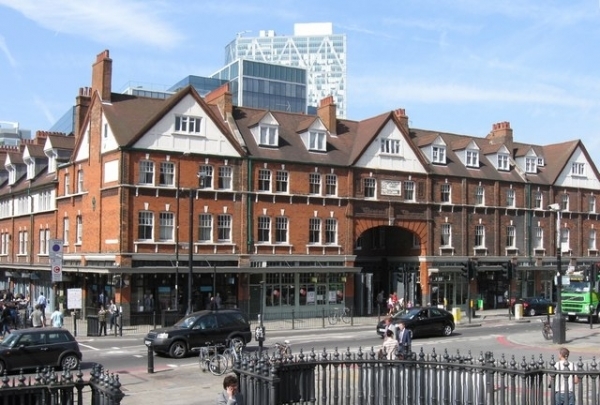 Camden is popular with tourist, foodies and music lovers. It simply epitomises London and its ever changing nature. It is best if you walk straight over to a canal side and Camden Lock. Explore beautiful Victorian arcades where you can find hand made confectionery and fashion pieces. 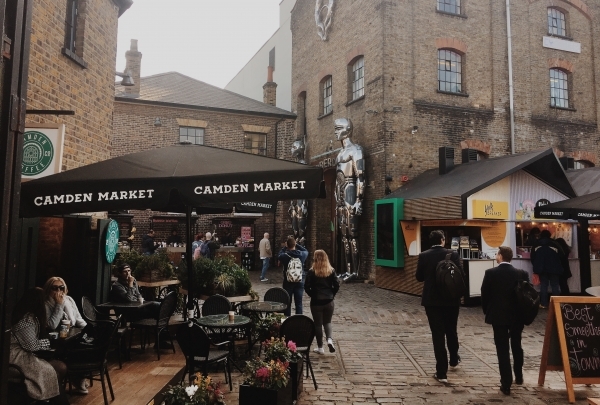 My favourite food spot has to be Camden Stables where great pop ups cater to all recent trends! Gordon's low ceilings and candlelit interiors take guests back to the 18th-century origins of the Kipling House at London's oldest wine bar. Clamber down the steep, narrow staircase to cross the threshold of this Gothic-style 19th-century wine cellar- the oldest in London. Although located on busy Villiers Street, this institution of a wine bar (and former home of Rudyard Kipling) is preceded by an anonymous, even derelict-looking exterior. With nothing but a few cobweb-covered jars in a neglected window, only the faint lettering that begrudgingly spells the word 'Gordon's' invites you in. Downstairs, Londoners in the know huddle beneath low arches and antique clocks to enjoy wines from across the globe by candlelight. 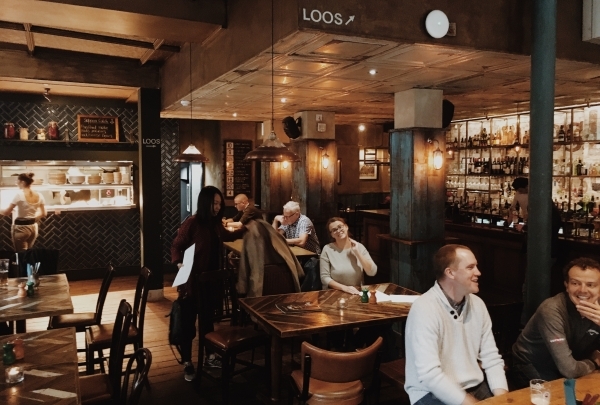 Besides the myriad of wines on offer, Gordon's has a noteworthy selection of sherry, port and Madeira served from wooden casks behind the bar. Also available is a variety of light dishes and continental cheeses with a generous hunk of French bread and butter. 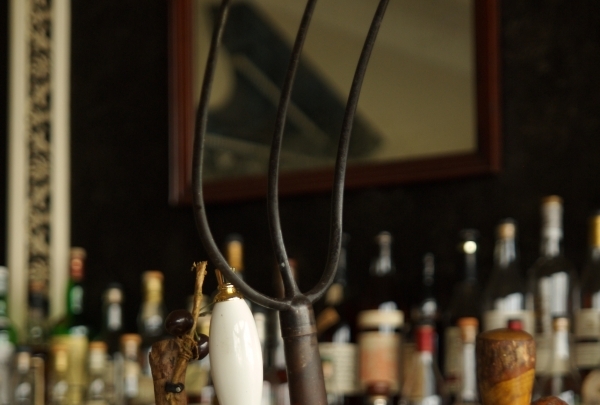 Stop by this cool bar to check out the eclectic decor. Enjoy drinks paired with a delicious roast dinner and chatter with friends. An unassuming pub on a comparatively quiet back street on the edge of Covent Garden, Cross Keys gets its name from its unusual sign showing cherubs holding the crossed keys of Saint Peter, keeper of the gates to Heaven. Built in the 19th Century, every inch of wall space in this narrow, grade 2 listed building is covered in pictures, photographs, etchings and posters, ranging from Victorian paintings to Beatles album covers. From the ceiling hangs a collection of copper and brass items, including kettles, pots and musical instruments. 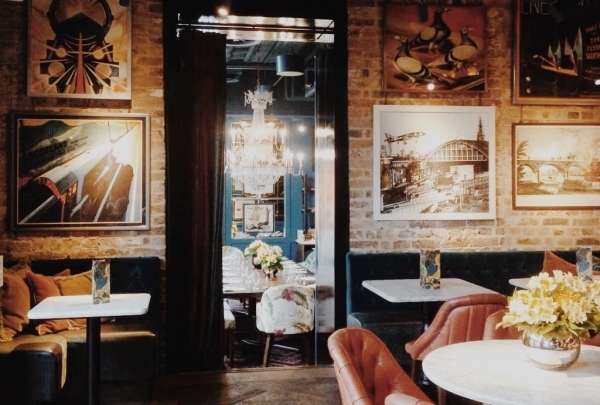 It's an eclectic space, but one that suits Cross Keys, making it a charming place to visit. It's the perfect place to stop in for a pint, and on Sundays you can get a slice of their special roast. There's even a functional room in back that can be rented out for parties or events. Enjoy the perfect cup of coffee at Timberyard. 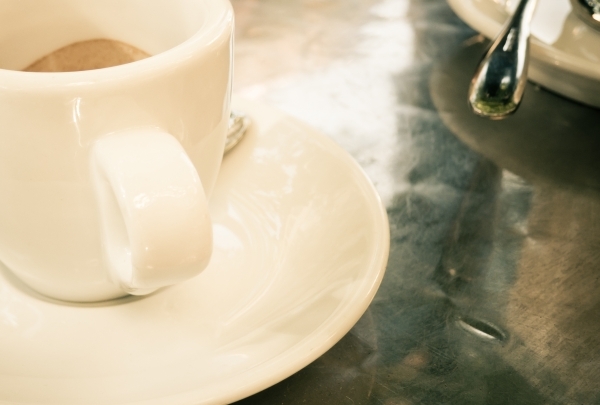 This laid-back London coffeehouse serves up tasty drinks and decadent pastries. Timberyard is a modern coffeehouse in every sense of the word - it's obvious in everything from the decor to the Ipads mounted on some of the tables. That's right, while you're enjoying your latte, you can enjoy technology at your fingertips without lugging your laptop around. Inside, you'll find comfortable shabby-chic furniture and counters stacked high with cakes, brownies, fruits, and other irresistible coffeehouse goodies. Even with technology's central role in this cafe, the atmosphere is lively, with plenty of people coming here to catch up with friends or have an informal business meeting. 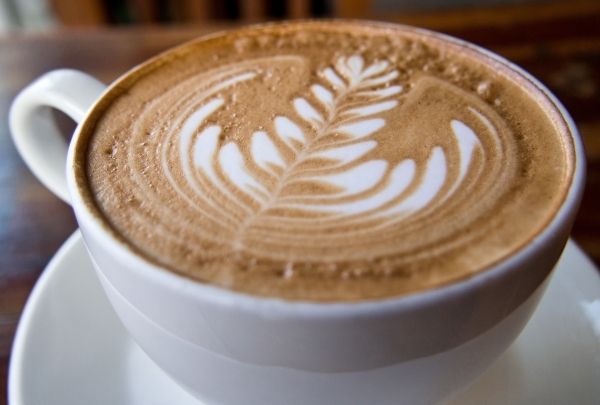 Fuel up for the day with a cup of joe from this heavenly coffee roasters shop. The corn and morcilla fritters make for a great breakfast. The second location of London's coffeeshop darling, Caravan King's Cross brings the business's worldly all day menu and delicious coffee drinks to the King's Cross area. 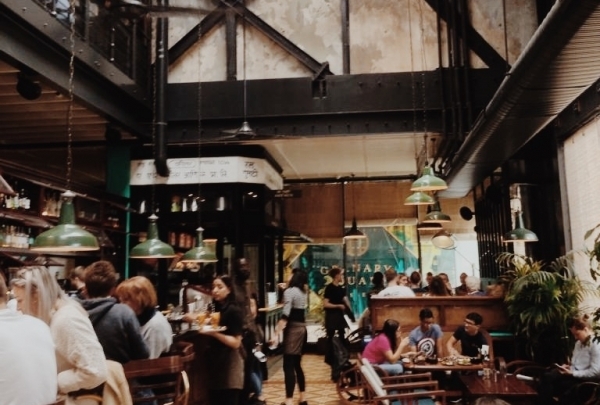 The open, industrially inspired decor plays host to a suitably contemporary menu of small bites and larger entrees from around the world. A sizable dessert menu is joined by a selection of traditional puddings and Swiss cheeses, allowing a world of tastes in this upscale restaurant. Enjoy dishes made with meats sourced from Green & Fortune's own farm, for a truly sustainable, local dining experience. 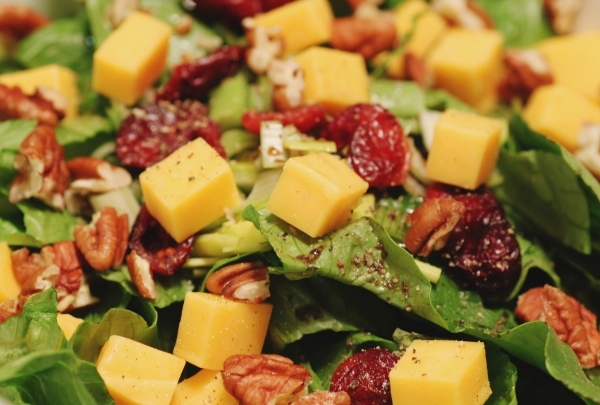 Green & Fortune Cafe offers farm-fresh sandwiches, salads, and more. Sourcing their beef and lamb from their own farm, their staff butcher prepares the cuts of meats to be used in their dishes. Other meats and fish are sourced from local providers who raise their animals ethically. Their baker makes the cakes and pastries on display fresh every day. Offering a sustainable and authentic dining experience, this cafe is worth a visit for breakfast or lunch. Camden Town Brewery offers small-group tours of their brewing facilities, so you can learn all about how their tasty beers are created. The Camden town Brewery makes one of the best local brews in the city. Its speciality brews are the crisp and lemony Camden Hells Lager, the dry, fruity Camden Pale, the Camden Wheat with a distinct aroma of banana and toffee and Camden Ink that has a blend of coffee and chocolate. These beers are available year-round. Other seasonal beers include floral and lemony Gentleman’s Wit, the bitter Rude Boy and the USA Hells that has a mix of mango and pineapple in it. On certain days, food trucks are invited to provide guests with a taste of the wonderful street food the city has to offer. A gorgeous sunlit interior pairs with a long French wine list and tasty bar fare at neighborhood favorite Charles Lamb pub. Charles Lamb pub is a delightful hidden gem, tucked behind rows of Regency terraced houses just behind Angel Station. It's position off of the main street manages to control the crowds, however, leaving the bar bustling yet accessible. With elegant, minimal decor, a sunlit interior that brightens up the afternoon atmosphere, and a selection of delectable bar snacks, it's easy to see why this hidden spot is a neighborhood favorite. A French wine list available in glasses and carafes completes the selection at this wonderful spot. The Spanish tapas here are perfect for sharing amongst family and friends. Order as many will fit on the table for an unforgettable meal. 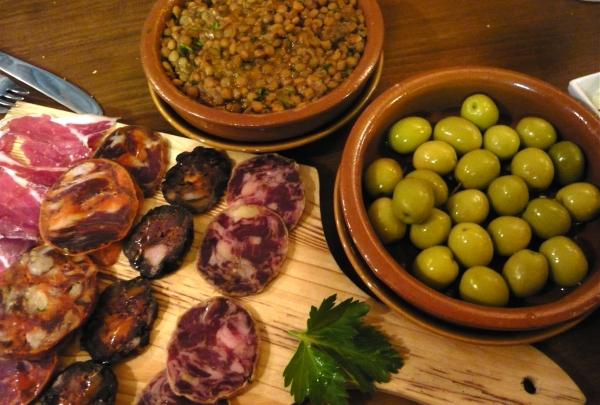 This popular tapas bar is located on lively Exmouth Market. This tapas bar is relatively small and simple, but the flavors coming out of the kitchen are absolutely mouth watering. Sample small plates of traditional Spanish tapas like croquetas, tortillas, montaditos and more. 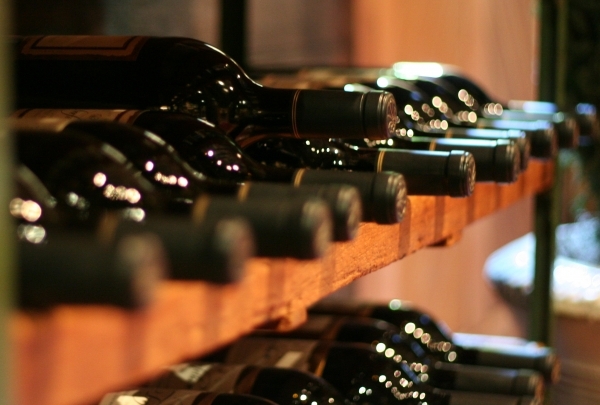 All the tapas and wines are very reasonably priced, making Morito a great value. Flavor-seekers can perch at the tall tables or bar inside, or take advantage of nice weather and people-watch while you savor. This canalside square is a fantastic public space to visit when the weather is good; enjoy the Al fresco restaurants. Visit this public space when the weather is good, as it is a meeting place and hub for numerous activities. Enjoy the restaurants which offer seating outside or admire the choreographed fountains lit up at night to form a spectacular display. 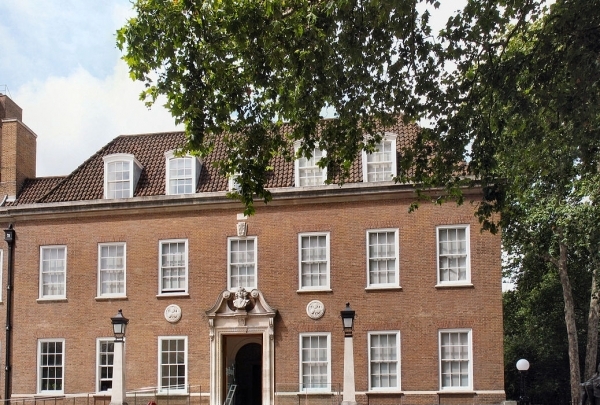 The Foundling Museum is Britain' original home for abandoned children, founded in 1739. The Foundling Museum explores the history of the Foundling Hospital, the UK’s first children’s charity. This well preserved historic building is a real highlight of the architecture that can be found in the Bloomsbury area nearby. The museum hosts regular exhibitions and contains the important Foundling Hospital Art Collection. 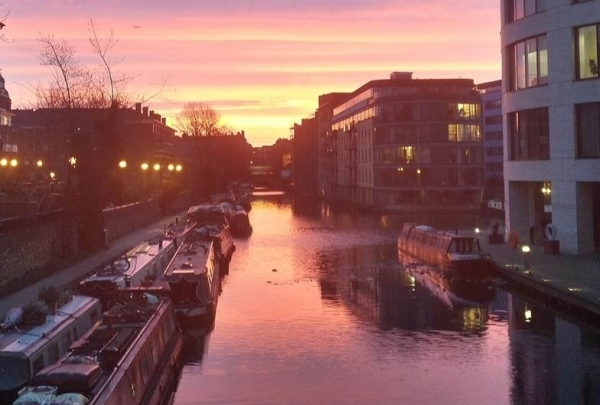 Take a sunset walk along the Regent's Canal waterway and see some the area's historical buildings along the way. Regent’s Canal is part of King's Cross unique heritage and it's a great walkway to explore nature & historical buildings. Great for runners, walkers and families alike. 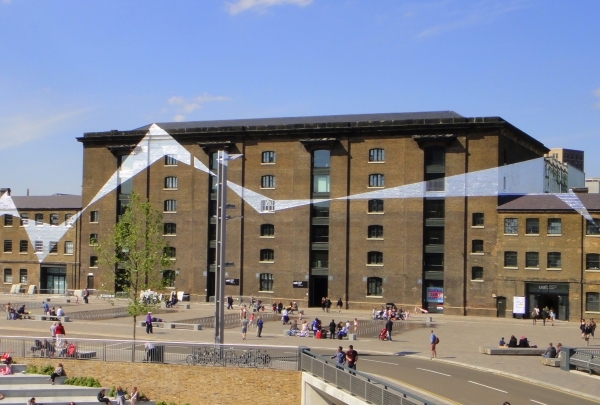 Take the towpath from King's Cross & it can lead you to Camden Town & Regent's Park. Serves up delicious food made with organic produce from the garden - it doesn't get more local! A great outdoor restaurant serving healthy food all made using produce grown onsite in the Skip Garden. 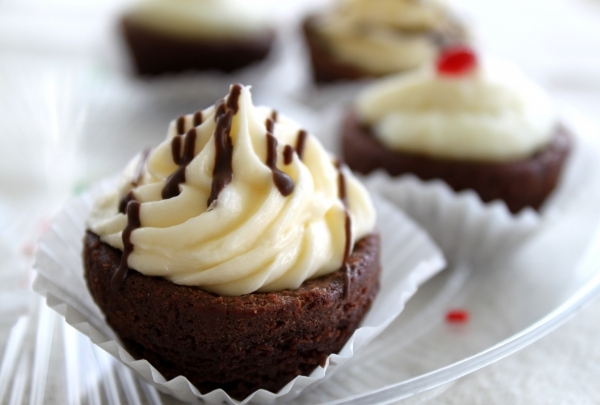 The menu includes salads, fresh juices & gorgeous baked cakes. Great family fun, as you can even enjoy the eggs from the chickens on site. Established in 1797 & booksellers to the Royal Household, Hatchards is one of the oldest and most famous bookshops. Hatchards St Pancras brings their long tradition of excellent bookselling to one of the city’s most beautiful buildings. They are renowned for their close relationship with celebrated authors & writers. 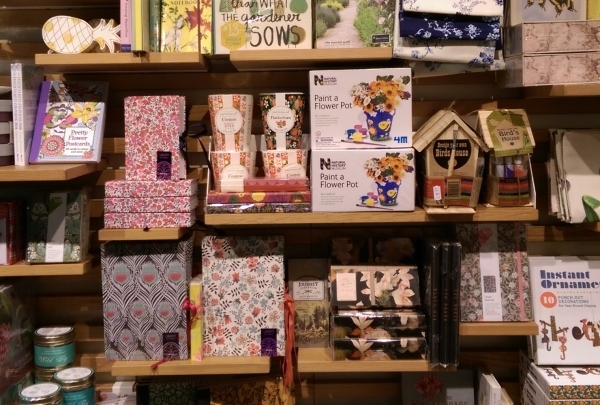 Hatchards St Pancras is also home to a vibrant events programme, 15,000 books and a stunning selection of stationery and gifts. Drake & Morgan offers handcrafted cocktails, a beautiful beer & wine list and a unique space to dine! Drake & Morgan offers an escape from the hustle and bustle of London’s streets. 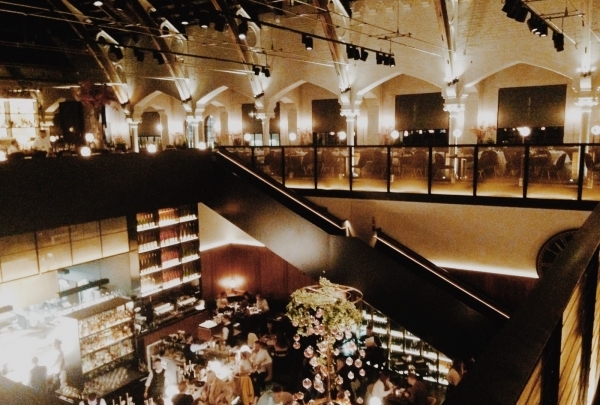 The restaurant features two elegant bars, an atmosphere that’s upscale yet relaxed, and a very diverse dining menu. Unique cafe with a vintage shop twist. You can buy the vintage furniture you sit on or even the cup & saucer. The shop is really unique as it's also functions as a wonderful local cafe. You can buy the vintage furniture you sit on, and you can select to purchase the items hanging from the walls and ceilings. Don't forget the cup and saucer you're drinking out of! A modern pub which is conveniently located on the St Pancras train platform. Enjoy a local ale overlooking the trains. 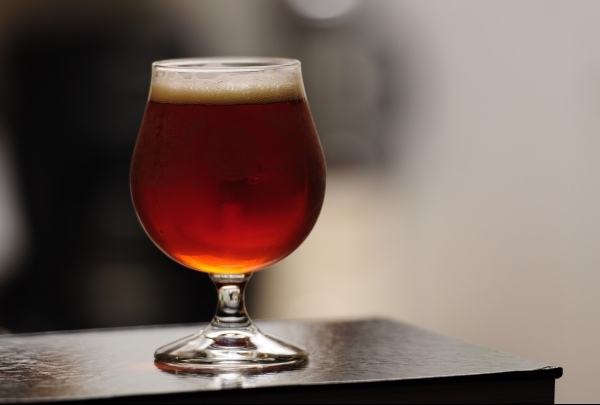 Step back in time by sipping on a local ale on the terrace of this modern pub. Sitting on their terrace, it's easy to Imagine the steam trains arriving into the very large train shed. 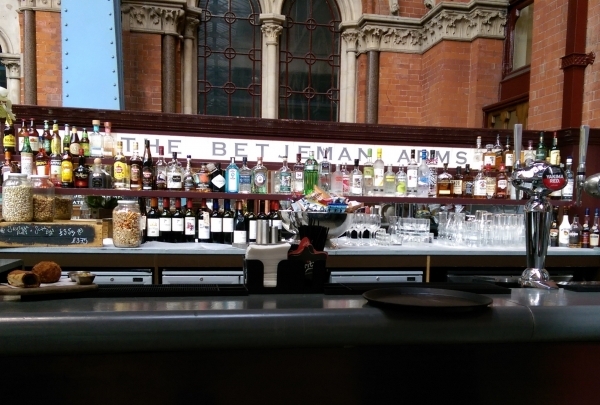 The Betjeman Arms pub is a great stop before heading off on your journey. 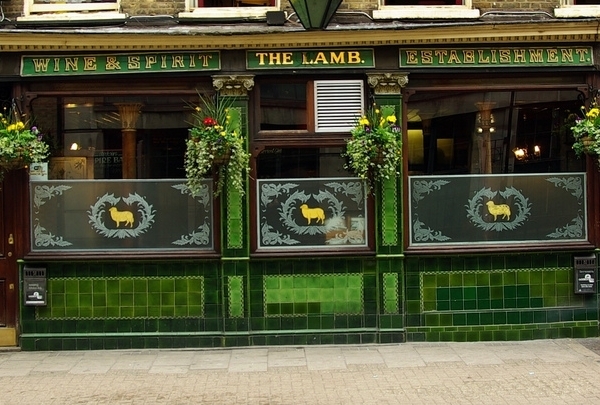 The Lamb is a great local find - a classic Victorian pub serving great British classics & fine ales! A unique Victorian pub in Bloomsbury that still has all the original fixtures you would expect. 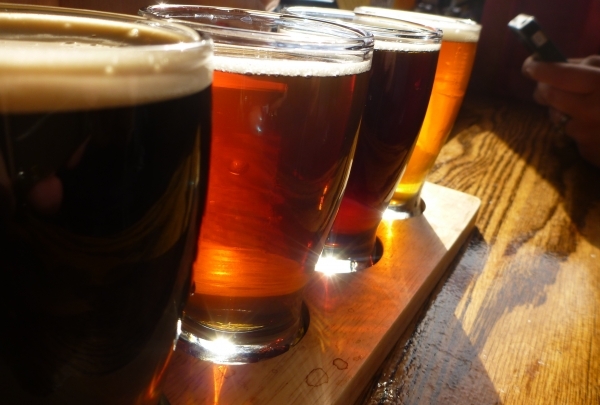 They serve up a great pub menu along with superb draft beer. It's very near the British Museum, so it's great for a break after touring the museum. A truly magical book shop! 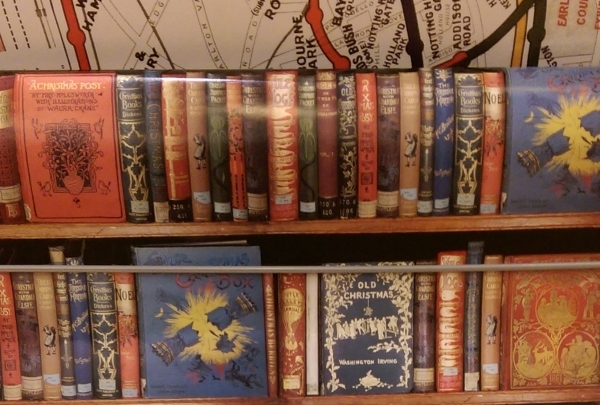 They focus on selling items linked to the history of English literature & bookmaking. This bookshop is world-renowned for it's selection and diversity. They mainly sell books and novelty items linked to the history of English literature & the making of books. The library from time-to-time holds temporary exhibitions and they sell products linked to these special galleries. 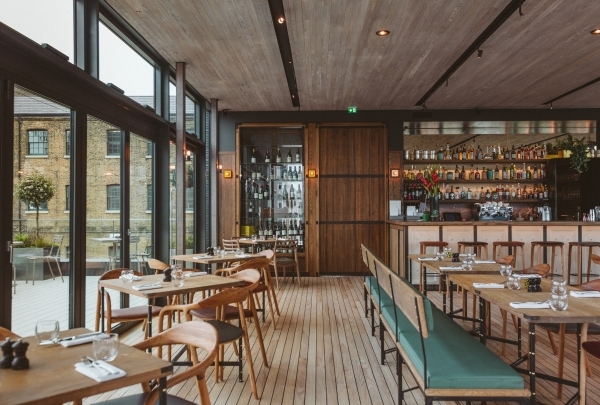 The Lighterman is a 3-storey restaurant & bar overlooking the nearby Granary Square & Regent's Canal. Offering all-day drinking & dining, The Lighterman is a large complex that contains a pub, restaurant, and bar. Alongside it's canal-side views, expect great dishes from the wood fired grill and pizza oven. Great option for al fresco dining. 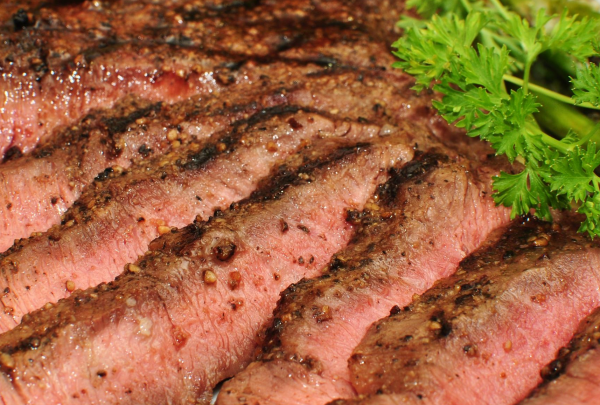 Great local restaurant that has a wonderful terrace overlooking the waterway and a large selection of grilled steaks. 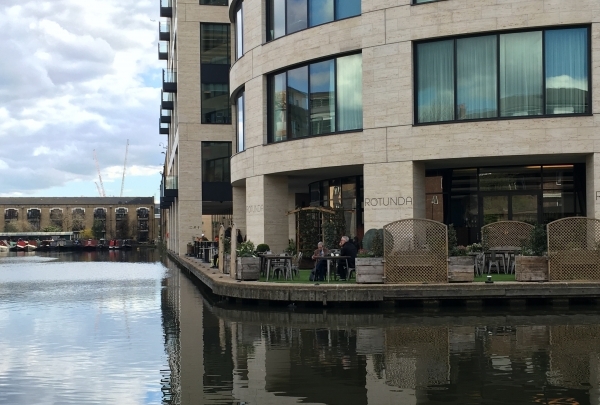 Rotunda has a great canalside location which is part of the Kings Place complex, a multi-purpose area of entertainment, art, and dining. Enjoy wonderful streaks and fish dishes on the terrace al fresco and watch the sun go down over Kings Cross.